The first time I saw Kaffe Fassett’s Artisan collection, I fell in love with the gorgeous sunny oranges and deep moody blues of the hand-dyed batiks. Kaffe’s woven stripes have been a long-time staple of mine, so I was thrilled to see more woven and ikat designs, this Ocean Stripe being my particular favourite. His collection of printed cottons are quite possibly even more quirky and colourful than his classic fabrics. Together they form a stunning and dramatic ensemble of colour and prints that is truly Kaffe’s forte. 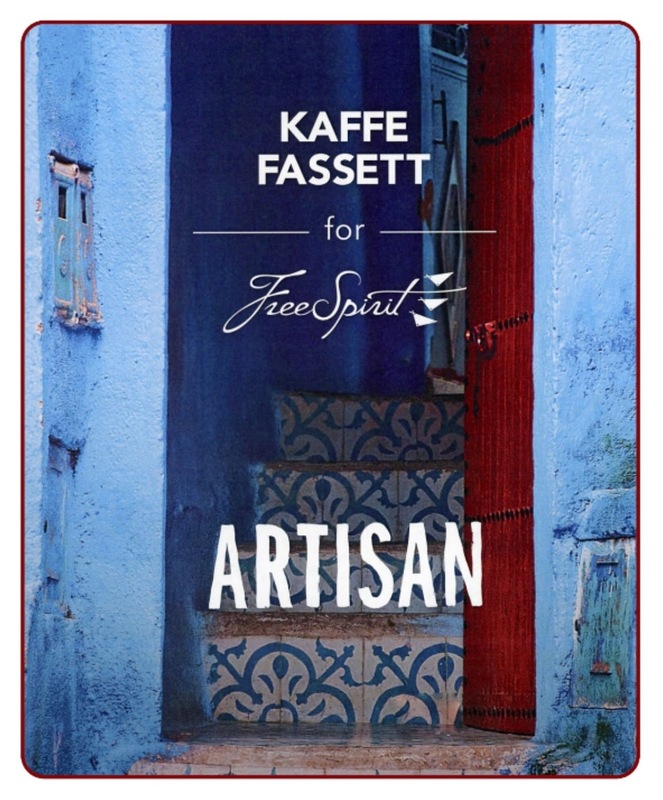 According to Kaffe, Artisan is a collection he has been yearning to bring to life for quite some time. Inspired by a lifetime of travel and experience in the arts of knitting, needlecrafts, patchwork and textiles, Artisan speaks to a time of simplicity, boldness and high colours which likens to when he first arrived in London in the 60s. After the release of the collection, Free Spirit ran a blog tour and some of the results are absolutely stunning. Confessions of a Fabric Addict Simple Simon & Co.
Kaffe Fassett & Free Spirit have just released a 72 page e-book called Sew! Artisan, where Kaffe effortlessly weaves his fabrics into everything from simple patchy quilts and cushions to casual table fashions and even a child’s tent. These images are taken from Free Spirits look-book for the e-book! The 14 projects are complemented by the full-colour, stunning photography that we have come to expect from Kaffe’s fabulous books and encourage the quilter and sewist to appreciate and embrace the different characteristics of combining these stunning fabrics. For instance the “kantha” stitched whole cloth quilt is backed by a silky, smooth blush Ikat, allowing the heavier-weight quilting threads to easily pull through all layers while adding a luxurious feel and drape to the quilt. And view our collection of Artisan fabrics and packs here or browse our e-book here. You can also find our current selection of Batik Fabrics here.